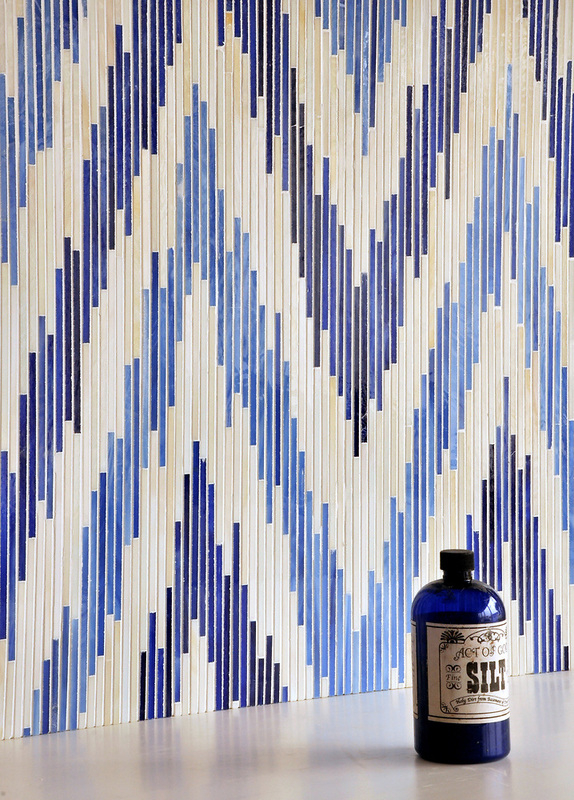 The Ikat Collection is the latest introduction from New Ravenna Mosaics in jewel glass mosaic tiles. The classic patterns of ancient Ikat textiles have been interpreted with combinations of brilliant color and the glitter of reflective glass and mirror. The three lovely patterns in the collection are Loom, Weft and Pamir which are presented in five distinct colorways. Pictured is the Pamir pattern in Quartz, lolite and Lapis Lazuli. The collection, handcrafted in Virginia, has been created for interior surface applications.